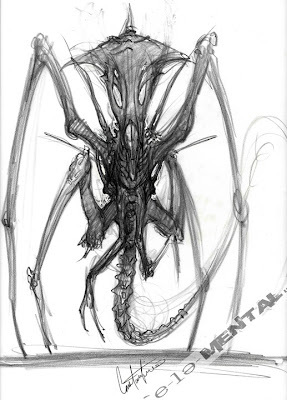 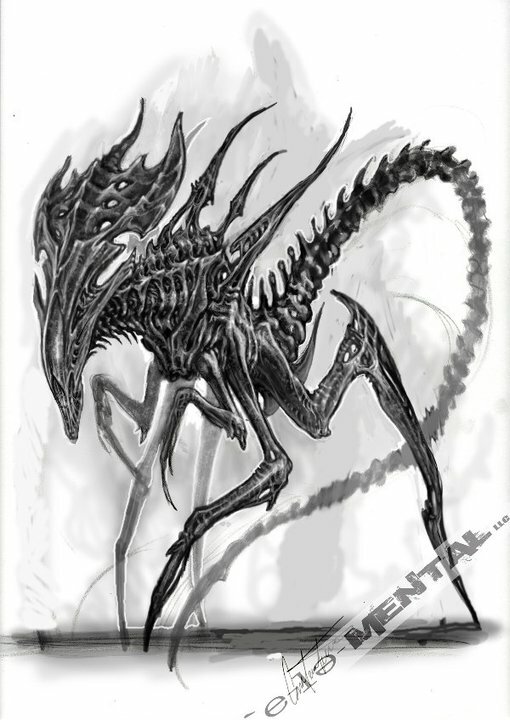 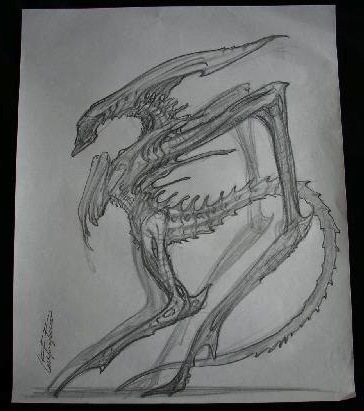 a) These original pencil designs were done by Constantine Sekeris, for Steve Johnson's Edge FX bid to do the creature suits for AVP, however they lost out and ADI continued to do the creature designs for this part of the Alien franchise. 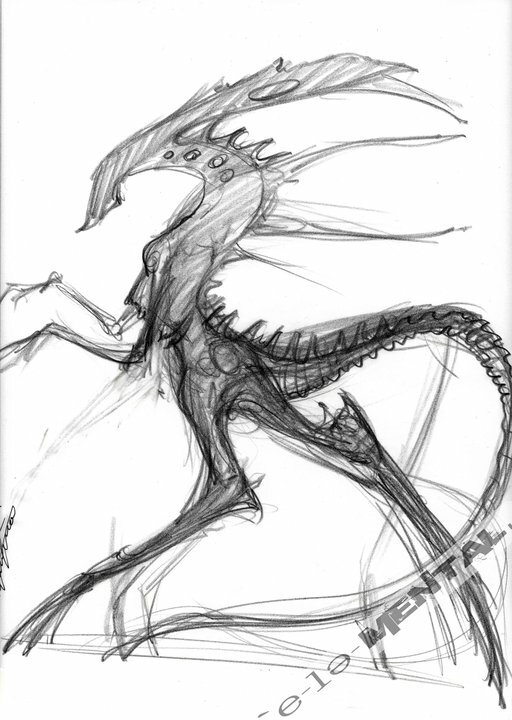 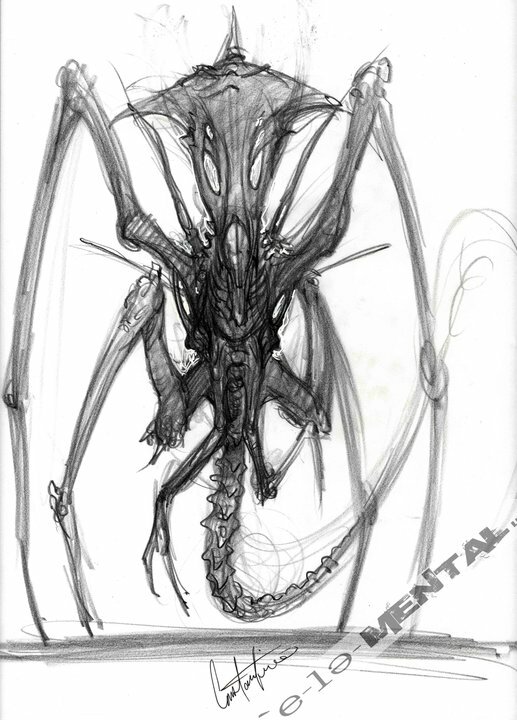 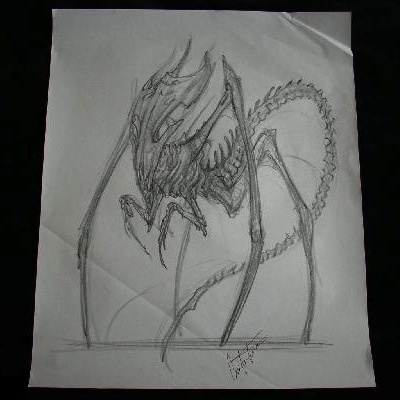 Sketches for a proposed Alien Queen, the first with two extra legs protruding from her shoulders , the second, third and fourth with four legs, the fifth with three legs and the last is an earlier rough sketch which shows the more classic Aliens design. each measures 17 x 14 inch. 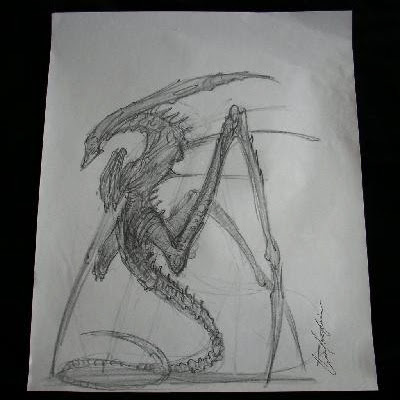 Source yourprops.com and Steve Johnson FX on Facebook.